Here's is a good news for Reliance Jio users who love music. Saavn Media Private Limited, a subsidiary of Reliance Industries Limited (“RIL”), has launched JioSaavn, South Asia’s largest streaming, entertainment and artist platform. The new integrated JioSaavn app will be available across all App Stores including the Jio app store, on JioPhone, as well as, at www.jio.com/jiosaavn. Reliance Industries Ltd had acquired Saavn in March 2018. The "implied valuation of the combined entity at over US$1 billion makes it the most valuable music streaming platform in South Asia, and among the most popular in the world," Reliance said in a statement. JioSaavn combines the streaming media expertise of Saavn with Jio’s digital services ecosystem. Jio has over 252 million subscribers. With the integrated JioSaavn app, users can now expect a suite of new in-app products and music experiences, including an interactive lyrics feature, localized vernacular display, custom integrations with concerts and live events, as well as exclusive video content to roll out over the next few months. The service will be offered on a "freemium" model in India with all users having access to the ad-supported product. Jio subscribers would enjoy seamless access to the integrated app. Jio users will also get a 90-day extended free trial of JioSaavn Pro, the streaming service’s premium product. 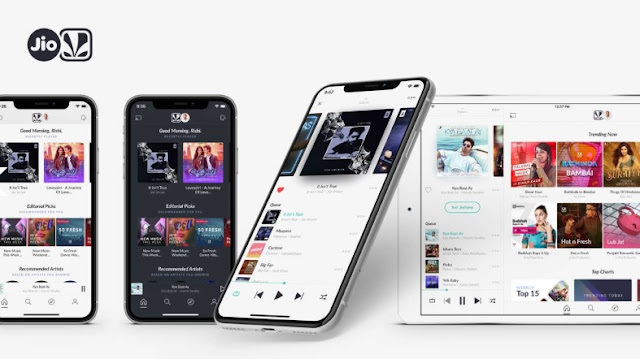 The company said that JioSaavn will continue to build on Saavn’s groundbreaking Original Programming and artist development platform, Artist Originals (AO). Saavn’s Original Programming, which has redefined the development, marketing and distribution of original audio entertainment, produces and exclusively distributes some of India’s most popular audio podcasts, like ‘#NoFilterNeha‘, ‘Thank You For Sharing’, ‘Take 2 with Anupama and Rajeev’, ‘Talking Music’ and ‘Kahaani Express with Neelesh Misra’. Saavn co-founders – Rishi Malhotra, Paramdeep Singh and Vinodh Bhat – continue in their leadership roles to drive the growth of the company. JioSaavn has a team of more than 200 employees who operate out of its five global offices at Mountain View and New York in the United States and Bengaluru, Gurugram, and Mumbai in India. In March this year, Reliance Industries Limited (RIL) had acquired a majority stake in JioSaavn, whose investors include Tiger Global Management, Liberty Media, Bertelsmann, Steadview Capital, Ward Ferry Management, Senvest Management, Tree Line Investment Management, Quilvest, Mousse Partners, Wellington Capital Management, William Morris Endeavor and a number of strategic individuals, including former Vodafone CEO, Arun Sarin, and, Guy Oseary, Chairman of Maverick and manager of global artists including Madonna and U2.